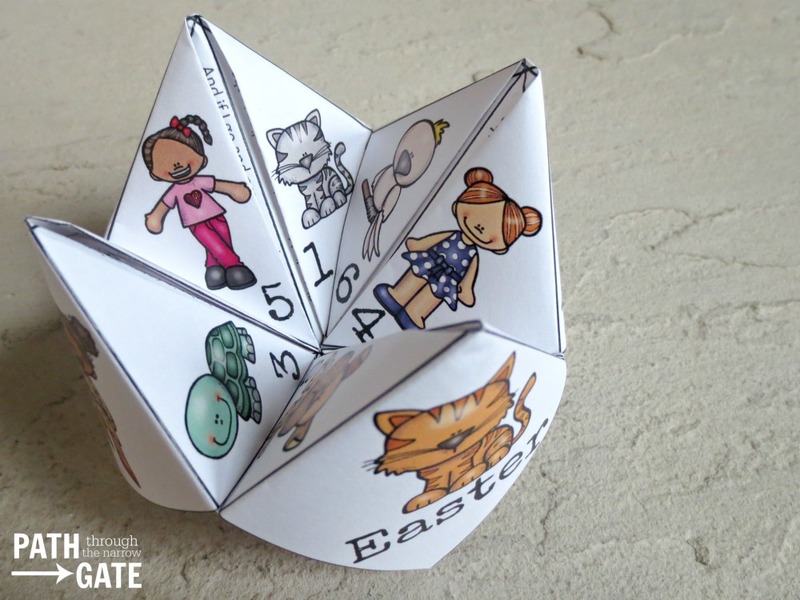 Looking for a simple yet super-fun craft for Easter? You just found it – the Easter finger puzzle! 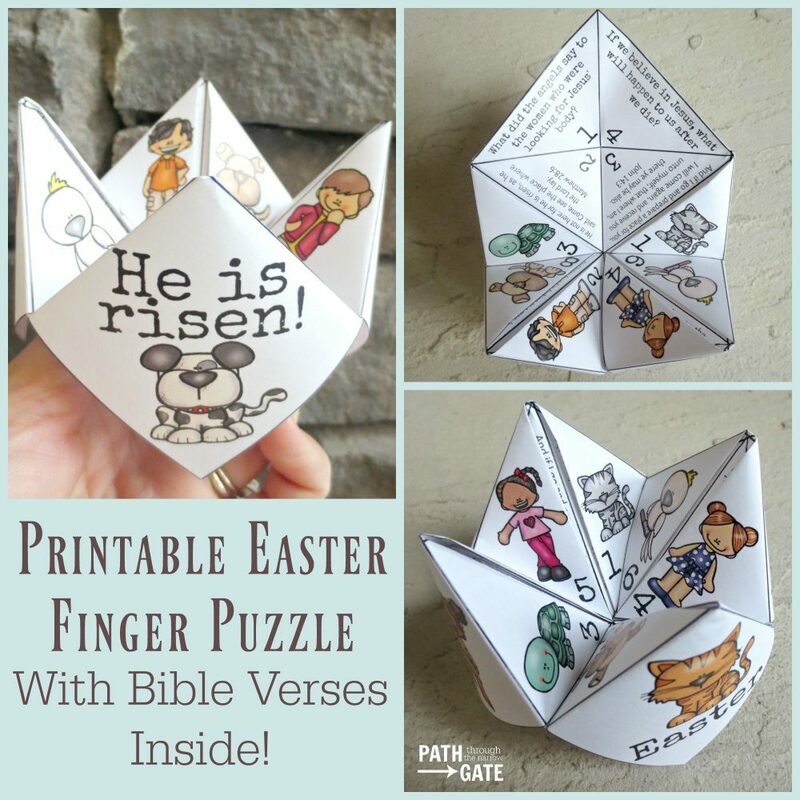 These finger puzzles feature words to spell on the outside, numbered pictures on the next layer, Bible-related questions about Easter to answer, and Bible verses about Jesus’ resurrection on the inside. The puzzles are available in KJV, NIV, and ESV Bible versions. 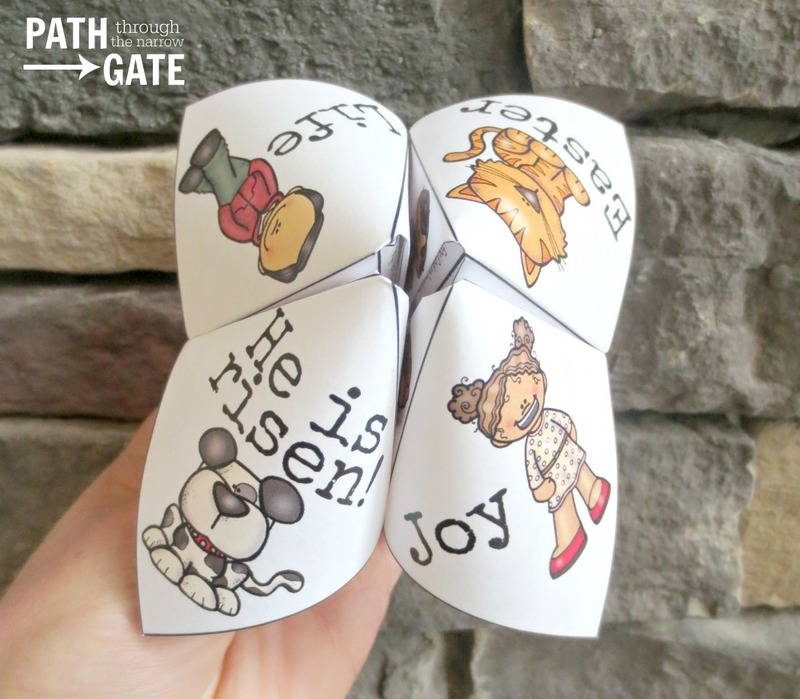 The outside squares feature Easter words or phrases to spell while opening and closing the finger puzzle in different directions. 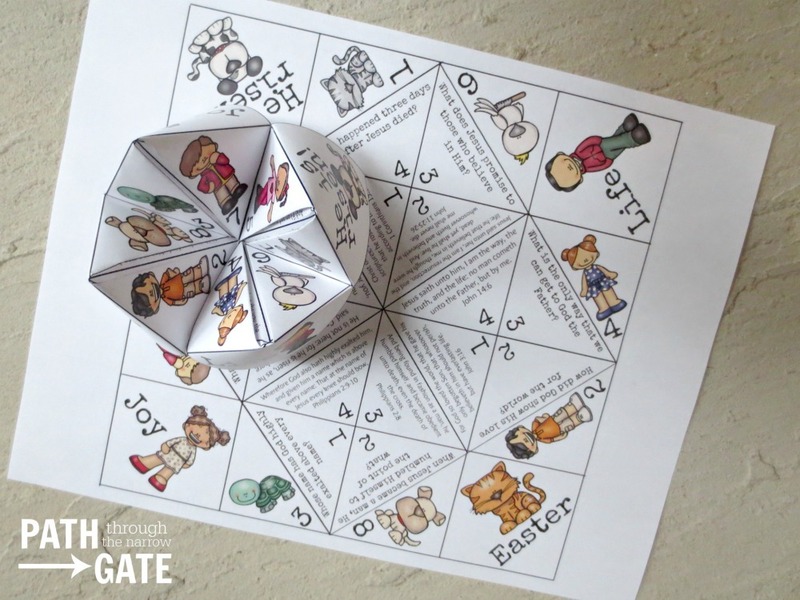 The second layer of triangles features adorable pictures and numbers to choose from. 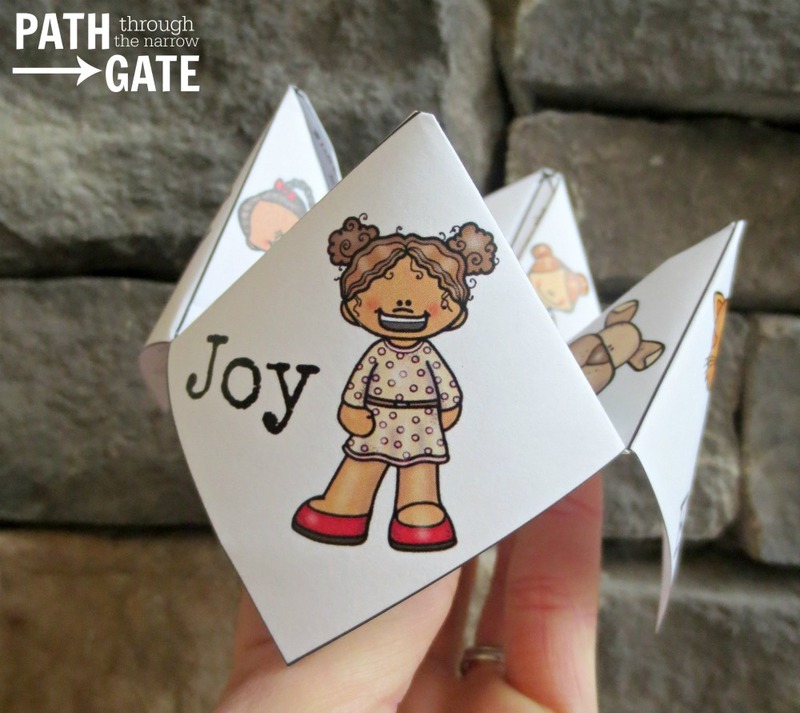 Children can then open and close the finger puzzle in different directions counting up to the number chosen. 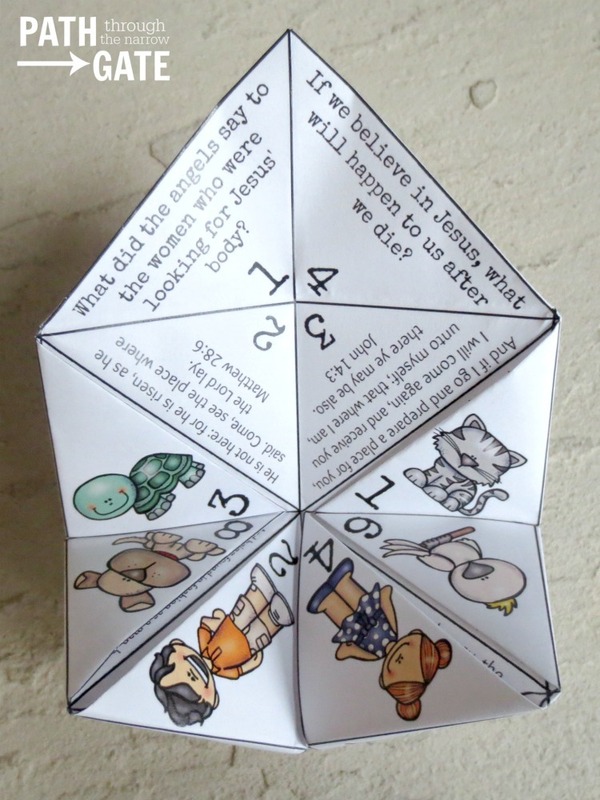 Finally, children can choose a number from 1 to 4, open the flap, and answer the corresponding question or read the verse. 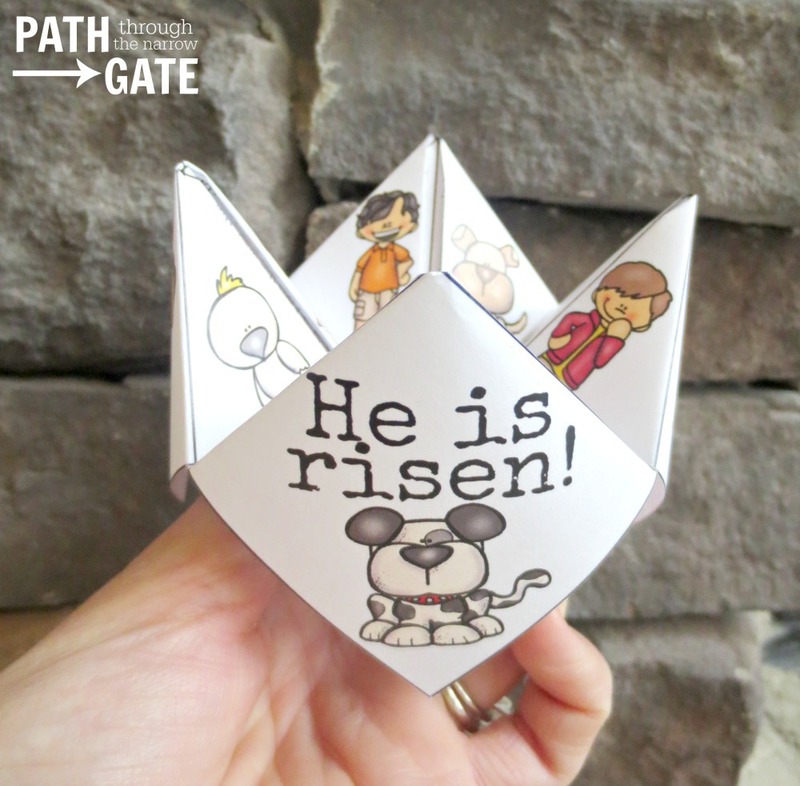 The questions and verses are all about Jesus’ death and resurrection – reminding kids of the true meaning of Easter. I would love to hear how you use these finger puzzles. Please scroll down to comment.